The math super team teachers at Hale Junior High in Tulsa bring their own unique skills, experiences, and interests: indispensable to creating differentiated learning experiences for every student. Super teams are all around us in popular culture these days. Whether it’s the Justice League, The Avengers, or the Golden State Warriors, we’re used to celebrating when people, athletes, or movie characters join together for a greater good. Schools are one part of society where this isn’t celebrated enough. Every day, teachers achieve great feats of teamwork to move their students forward. Such is the case at Hale Junior High School in Tulsa, Okla., a school I’ve been working with for a few years. 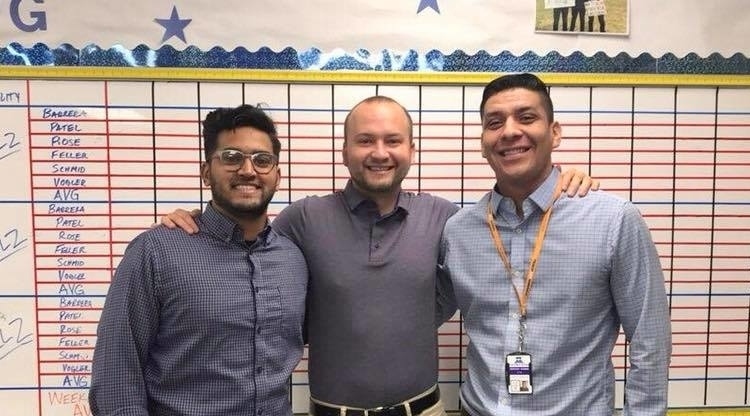 Faced with high teacher turnover, the mathematics department at Hale Junior High was experiencing a lot of change heading into the 2016–17 school year, which included shifting to use our personalized learning model, Teach to One: Math (TTO). With thoughtful planning, strategic staffing, and a comprehensive approach, the school leaders turned uncertainty into an opportunity. Rather than hire for the traditional classroom model, they assembled a teacher team in the 2017–18 school year that was oriented around individual students’ needs. Taking a page from a shared leadership model, this meant a lot more collaboration, distributed responsibilities, and alignment around a common vision for student success. As a result of creating this super team, 100 percent of teachers returned this year and students made over one and a half year’s’ worth of academic gains in one year. As the Data Analyst, Neal is the first responder for data, creating multiple trackers that allow the rest of the team to review and analyze data on a weekly basis to inform their work with students. Neal was a numbers cruncher in college, where he was a data assistant for his professors. That made him a perfect fit for this role, which serves as the backbone for one of the math department’s tenets: Data-driven instruction. 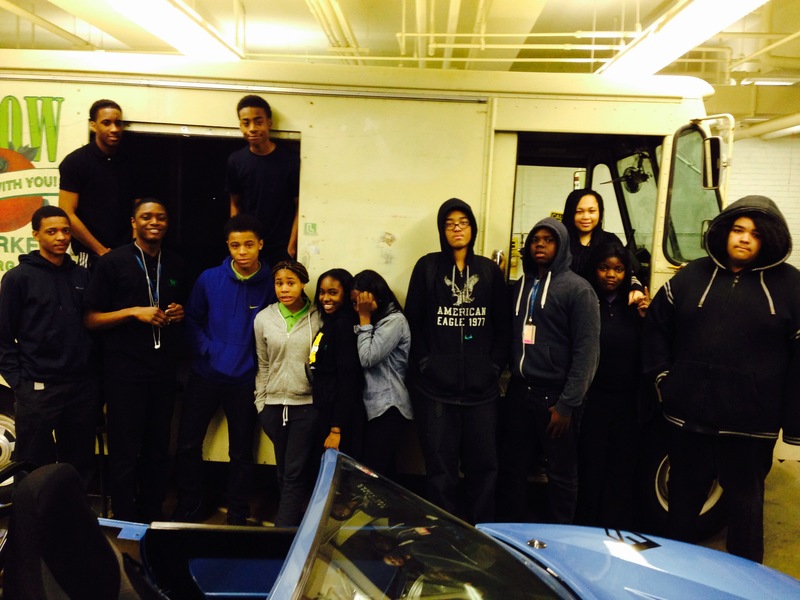 A common vision of student success extends well beyond the classroom. Parents, families, and the entire school community need to be involved and engaged in each student’s learning experience. Accordingly, creating a role that involves the parents/guardians/family of the students is vital. 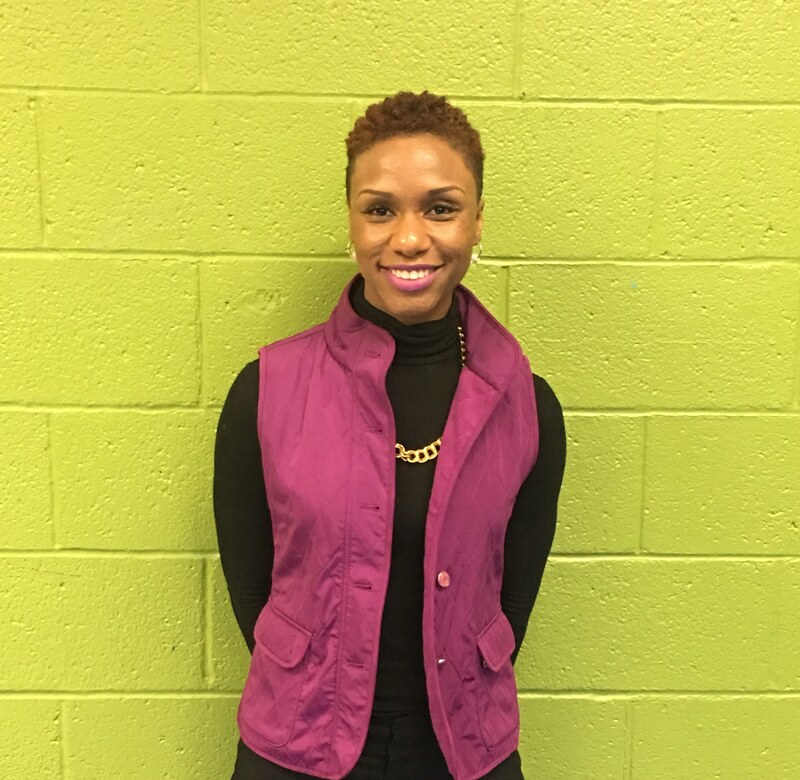 April, the Family & Engagement Coordinator at Hale Junior High, is naturally friendly and talkative. She’s simply engaging, which is why she is responsible for keeping parents and teachers on the same page through open communication channels—including through a monthly newsletter. 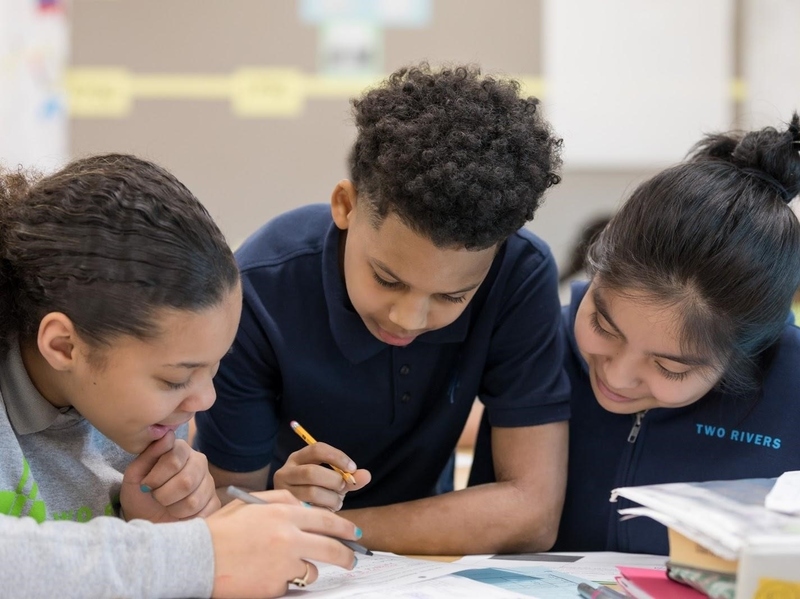 Alongside the creation of this team, the school was continuing with TTO which operates on a three-pronged process that includes instruction, technology, and operations. The school created the Operations Coordinator as a campus-based leadership role focused on the operations goals and challenges. This role is vital to successful implementation of TTO. Christian is organized and naturally inclined to solve tech issues, which is why he was tapped for this position. Within this role, Christian owns many of the operations roles and duties on the campus level to ensure a smooth implementation. A collaborative teaching model means that you’re doing a lot more sharing, from classroom space and materials to students. There are so many moving parts and pieces involved with that kind of shift. As such, organization is a crucial element to ensuring continual success, which is why any super team needs to have someone who is keeping things strategically tidy and organized. The Hallway & Math Office Design Coordinator at Hale Junior High is responsible for keeping tabs on technology and supplies, creating accessible storage space to keep them organized, and designing the Math Center walls and hallways to match monthly themes (like student work and culture-building visuals and signage). Their creativity breathes life into this work as they help set the celebratory tone for the school community around math. In Tulsa Public Schools, all students are required to take the MAP assessment three times a year. Mindy, the Testing Coordinator at Hale Junior High, is responsible for managing the testing sites before, during, and after assessments, but this role goes beyond mere test administration. She’s also responsible for gathering food, drink, and prize donations for the students to have an enjoyable testing experience and creating an atmosphere that celebrates and focuses on the opportunities for growth that these assessments provide. As a resourceful individual with strong communication skills, Mindy is an expert at making testing go smoothly for everyone. Every teacher team needs a leader to tie together the different components of their collective work. Teacher leaders are key to establishing a positive culture and finding ways to reinforce it across all of the moving pieces. They manage and lead common planning meetings, observe and coach other members, and step in to help as needed. Luke, the Math Director at Hale Junior High, joined the team with a background in business giving him the skills to lead this effort. A dedicated teacher, Luke’s real skill is in building relationships to inspire the team to keep moving toward its shared goal. We call the dedicated teaching team that makes up the math department at Hale Junior High a super team. This may lead some to believe that perfection is required to become super, which could not be further from the truth. 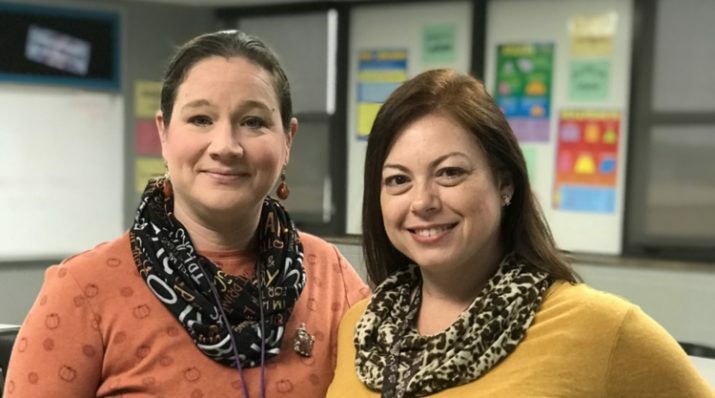 Simply put, the team at Hale Junior High is super because of its members’ desire and ability to work collaboratively in putting the needs of the students first. For Hale Junior High, that meant adopting a shared leadership model. As a result, Hale Junior High students met or exceeded their learning goals at a higher rate than the national average. Every school is full of amazing teachers; teachers who have the potential to be part of a super team. We need to be willing to think creatively about how teachers work together to create these super teams. Start by identifying the strengths of each team member then leveraging it for the greater good. A team is strongest when each member is using their unique super power to help students. And, most importantly, we need to take time to celebrate the amazing accomplishments of these super teams at all schools. * This teacher’s name is not provided by request. 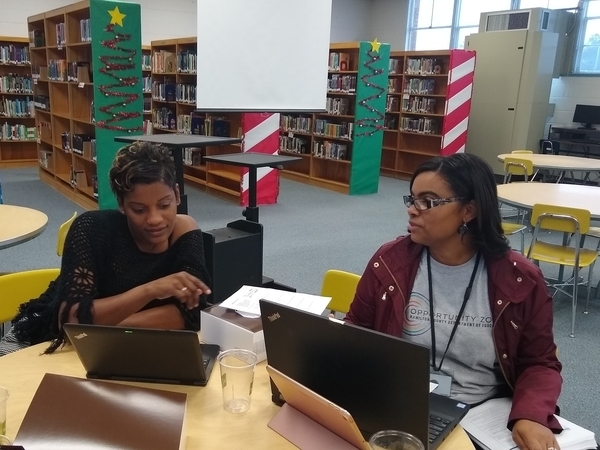 As Deputy Director of Instructional Support at New Classrooms, Crystal Carter works with teachers to implement student-centered instructional strategies that are part of the Teach to One: Math personalized learning model.